Rs. 1 Crore Compensation Case dismissed which was held to be filed on misunderstood facts about pregnancy. In its recent judgment dated 28/10/2016, (MADHUMITA PODDAR & ANR V/s. DR. RANJANA V. DHANU & LILAWATI HOSPITAL ANR ) the National Commission dismissed the case, that demanded Rs 1 crore from doctor and hospital, claiming deficiency in service on the part of gynecologist . 1. The Complainant, with the History of PMS, PID (Pelvic Inflammatory disease), UTI, Endometriosis underwent pregnancy test after complaints of nausea with severe cramp in lower abdomen, but same turned to be negative and she was advised some drugs for PMS. 2. However thereafter the patient had some feeling of pregnancy symptoms and thus she underwent Blood Beta HCG test which confirmed pregnancy of 4 weeks and thereafter Pelvis USG was also conducted twice and it was diagnosed as twin pregnancy. But the patient was immediately asked to stop medicines and later on, the patient opted for MTP as advised as she had strong apprehension about side effects of the medicines which she was taken from beginning. Hence she field a case for Rs. 1 Crore against Doctors. 1. The National Commission after hearing the parties and after perusing medical record and medical literature dismissed the complainant and upheld the order of State Commission. 2. It discussed about the different types of pregnancies like normal, abnormal, the ectopic and anembryonic pregnancy. Also thrown light upon “Viable and Non-viable pregnancy”. 3. It was proved on the basis of laboratory and USG investigations that it was anembryonic pregnancy . It also came on record that the patient voluntarily opted for MTP. 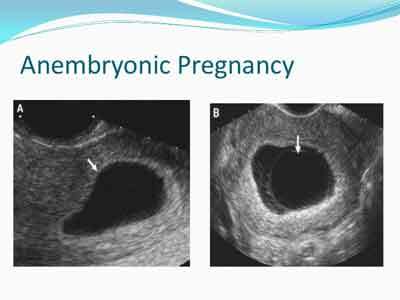 4.It observed that “An anembryonic pregnancy (often called a “blighted ovum”) occurs during the early stages of pregnancy when a fertilised egg implants in the uterus, but an embryo fails to develop. Only the placenta and membranes develop – fooling the body into believing, it is still pregnant. The pregnancy hormones are still being produced which prevent a miscarriage. In other words, it is a pregnancy loss that happens in very early pregnancy”. There should be a provision where a doctor once proved not guilty of n false act (which most of the times are) should file a defamation case against the parties for an equal amount of compensation. This will put some pressure on the illiterate Indians who think that medical negligence is a cup of tea for them. The provision exists to file the suit for damages for malicious prosecution… But no one opts for the same.. MErely venting on social media will not achieve the expected change.. Thanks for the support ! Overwhelmed ! ? For a frivolous complaint the doctor was dragged upto national commission. The complainant should be fined heavily so that such cases do not come up just to harass the doctors. Hope State and national \’IMA\’ bodies take a note of judgements on this case and similar cases along with comments of the doctors expressed below and act on it. 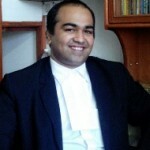 Why Innoscent Doctor was forced to Defend in Court till National Level? Was the Complainant asked to pay EXPENCES to Doctor! !